The FIM have published an update to the 2019 MOTUL FIM Superbike World Championship Regulations ahead of the fourth round of the season, set to take place this weekend at the TT Circuit Assen. 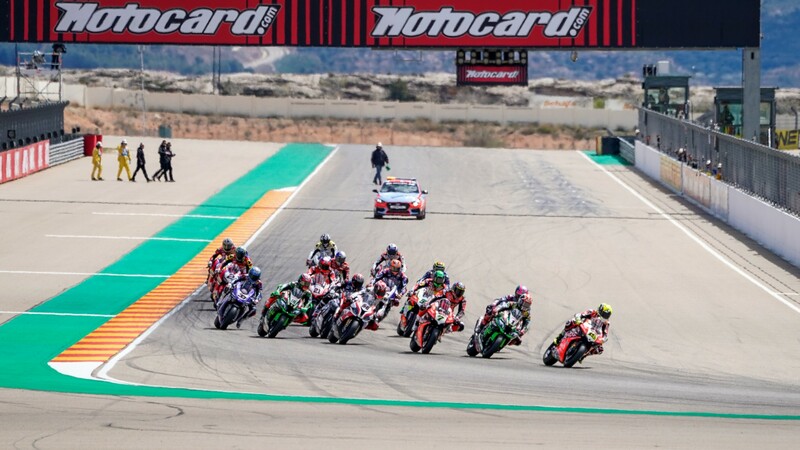 As stipulated in the 2019 regulations, the concessions standings have been reviewed at the conclusion of the third round of the MOTUL FIM Superbike World Championship. After six full-distance races, Ducati have scored 20 concession points to Kawasaki’s 13 and Yamaha’s 3. As the gap between Ducati and Kawasaki is of just 7 points (and thus, below the 9 points required by article 2.4.3.4, paragraph i) of the regulations), neither manufacturer will be allowed a concession parts upgrade during the season. All other manufacturers will be allowed one single update for 2019. In addition to this, DWO and the FIM, in consultation with their performance analysts, have agreed on an update to two manufacturers’ rev limits. The limit for the Ducati V4 R has been reduced by 250rpm, while the limit for Honda has been increased by 500rpm, to be applied in two steps. Both are with immediate effect. The full changes and updated regulations can be viewed here.